- Keep Tab can be used in the refrigerator and on-the- go both. - Keep Tab is not suitable for use in the microwave. 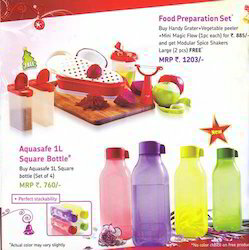 In order to keep pace with never ending demands of clients, our company offers Tupperware Water Bottle (Set of 4). 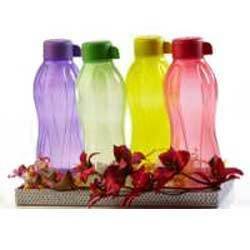 We are a top-notch organization, engaged in providing Tupperware Plastic Bottle. Ruchi bottle with Glass caps ..
- Versatile and virtually liquid-tight bottle that makes storing cold beverages at home or outdoors easy. - Cap comes with tab for easy opening and sealing. - Small size makes it easy-to-hold for small hands. - Bottle fits snugly in the refrigerator door pocket.